RebelMouse organizes your social presence into a beautiful, dynamic and social site -- in minutes. "Want to stand out as a creator? RebelMouse is the way to go"
Their content management system is truly unbeatable. It is unparalleled in it's approach to differentiating you from the crowd with the attention is pays to the constant ebbing and flowing of what is current and relevant and what simply isn't. It is the beacon you need to guide you to success. Their breadth of knowledge in each facet of the industry makes them a weapon worth having in your arsenal. While I understand it takes a while to get things done when juggling so many clients, I wish my needs were addressed faster. If you want to turn it around and transform your business you can't go wrong with RebelMouse. Their attention to detail and your business as a whole make them so worth it. Yes the cost may be high but the returns far exceed their fees. I love that they embrace individuality working to show the world what makes you different and special as a brand or company. I love the tailored approach to each client. 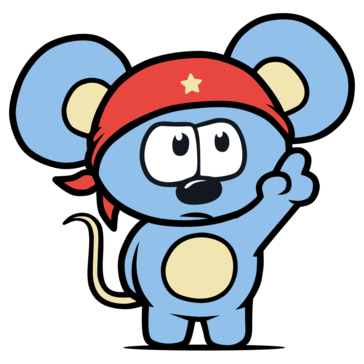 "Concept is Great - Support and Customization is Limited"
The great qualities of RebelMouse include the ability to quickly and easily post and repost content. Additionally, embedding the widget onto a 3rd party site (e.g. Wordpress) was fairly quick and seamless. The client was extremely happy with how fast and easy it is to share and create content in this system. The out-of-the-box customizations are somewhat limited, and when our team attempted to make CSS overrides, it ended up being very tedious and ultimately impossible to customize at the level the client needed. As long as you're willing to work within the sandbox (e.g. built-in templates, styles, etc), it can be a great solution for easy content curation across the web. Our client needed a solution that would allow them to (specifically their CEO) to share industry-relevant articles across the web and social platforms very easily (from his phone). RebelMouse ended up being a great fit for this need! While we were not able to stylize and customize the look and feel of this product adequately, we were able to create and manage multiple feeds/categories through the dashboard. And the support team was quite responsive, but sometimes it was hard to tell if the support rep was not educated on the product or if the product did not measure up to the requirements we had for the project. You sign in through your social media and from there you can create your own blog (the setup reminds me of Pinterest). It's easy to edit your information, look at your statistics, and create content. Signing in through your Facebook and/or Twitter makes it easy for companies/content creators. The templates are fairly basic and in my opinion as a designer, everyone's page ends up looking very similar. While the website is easy to use, I wish it had more options. I would make sure that your company/client is okay with the setup, templates, and overall style of RebelMouse before using it. RebelMouse does make managing your social media content easy and helps with growth of your online presence. "Great B2B software for publishing"
The flexibility of this software is my #1 like . The capabilities allow us to publish information on many social media platforms including Twitter and Facebook. It is an easy to use platform that was a quick ramp-up for our team. The availability of the mobile app make accesability a non-issue which is not usual with other solutions in this space. The only negatives are that it does have a bit of a high price and the fact that they do deliver a lot of information that is not necessary via email. The choices to disengage the email notifications are not easy to find. Marketing our content through social media platforms had been a tedious task until we deployed RebelMouse. All of this push had been done manually through our teams. RebelMouse automates these processes which creates more time to work on content vs push. I would recommend setting up a team of 5-10 people to train on using it efficiently and setting it up once that’s done posting and everything else is easy. "The interesting web builder "
Fantastic marketing options and boundless potential. ease of use and interesting. I suggest this product to everybody. It's the time to change. More digital marketing will be good for your product. Depending on the ease of use, most of us are using RebelMouse instead of the complicated ones. I really like using RebelMouse's CMS, especially since our company switched over from Django. I think the docs for how to customize features, as well as the full functionality of the CMS could be improved, but generally it has worked for our company. We don't need a technical individual to update our site anymore, which is a great benefit. "Using social media to create content"
The ability to grab and publish content to different media platforms. Has a very intuitive and easy to use entry editor. Has a responsive design that can help companies distribute media content further. RebelMouse is a Distributed Content Management System that enables companies to publish content and reach audiences. It is a niche product that can help your company if used in the right way. Being able to publish content from social media onto various other media platforms. Launching a fully-customized and property built for social distribution. A way to achieve media growth and social media potential. "Solid Experience with Reliable RebelMouse"
I liked how confident they were. It kept me calm. They know a lot about they way computers work which just compliments their work. I have very few complaints from RebelMouse. I wasn't always sure who was working on my account but that is fine by me . I would definitely recommend. It is a daunting world out there and they make it a little more reasonable. I needed to reach a bigger audience through my social media and website. I wasn't able to do that until RebelMouse gave me advice that I could actually apply. "Great program for streamlining social media! " I really enjoyed how easy it was to use. Some of my colleagues aren't very tech savvy, and even they were able to figure it out. I also really liked how I could pick my own layout for the dashboard. The initial setup was quite confusing, and the website could do a better job of explaining it. Make sure one or two people knows it really well before rolling it out to the rest of your colleagues. Steamlining all my content in one place saves a lot of time. "It is a good tool to build traffic back to money sites." It is very user friendly. I can have anyone set up. It is not very well known. I don’t know of many folks that have it. Increased traffic and constant visibility. It helps benefit the company by bringing people to moneysite. This program helps businesses to brand their selves and get in touch with the outside world looking for their product. I have absolutely no complaints about this product. Make sure you really take the chance to learn the in and outs of the program to utilize it to work best for your business. Taking a course about the program will be very insightful. I helps me reach a mass audience for a low cost and it is efficient. "Great and simple product to use!" 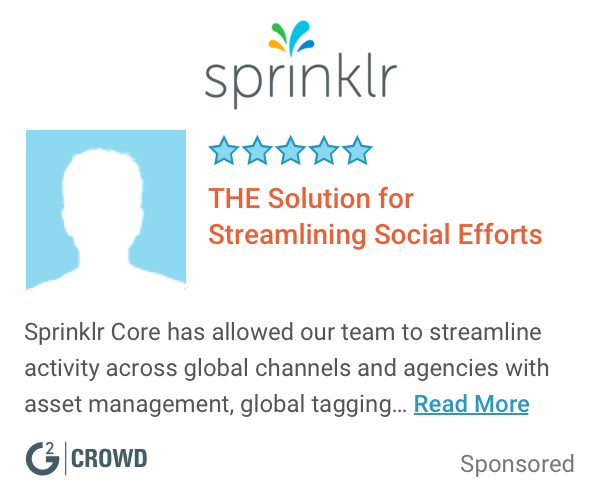 Automatically gathers social media content from a user into one page. You can edit, refresh it, and share versions of it out to your networks. Can be complicated to use and sometimes difficult to get the result/look you want. I would absolutely try it! It is a free product to try. Gathering all of my social media posts in one place automatically. It helps in selling me + SEO. "Good tool for content sharing"
The mobile app is extremely well designed and visually appealing. It is very easy to use and easy to navigate. The notifications they send you via email and through the mobile app can get annoying. Rebel mouse is able to publish content to different media platforms. There is a ease of use, which makes it enjoyable to use. There is a learning curve like all new programs. Support is available however. Social media is the way of the future, and being able to access all platforms with this software, makes promoting your business easy. "Great tool - wish an affordable version was available"
I love that you set it up once and then can leave it alone to run itself. There used to be a free version and an affordable pro version. Now it's just completely out of my price range. It saves time and backend programming skills. You don't have to do any resource and do manual work to upload pages or entire sites. "Great concept, efficient, and easy to use"
How easy it is to use! Its very straight forward. I would definitely recommend it to anyone thinking about using this program. There isn't that much support when looking for help. Social Advertising, Social Media Integration, Content Management, Content Optimization . Etc . So easy to stay organized. "Useful tool for social media users"
Easy to use interface and makes curating social media posts super easy! There is nothing I dislike about using RebelMouse. We’ve been able to easily curate social media posts from Twitter Chats into recap blog posts for mass sharing. So easy to use for first time users, got the hang of it in just a couple days! Sometimes the software glitches or freezes up. "Will help you with your company image"
I only dislike that not everyone uses this software. * We monitor all RebelMouse reviews to prevent fraudulent reviews and keep review quality high. We do not post reviews by company employees or direct competitors. Validated reviews require the user to submit a screenshot of the product containing their user ID, in order to verify a user is an actual user of the product. Hi there! Are you looking to implement a solution like RebelMouse?